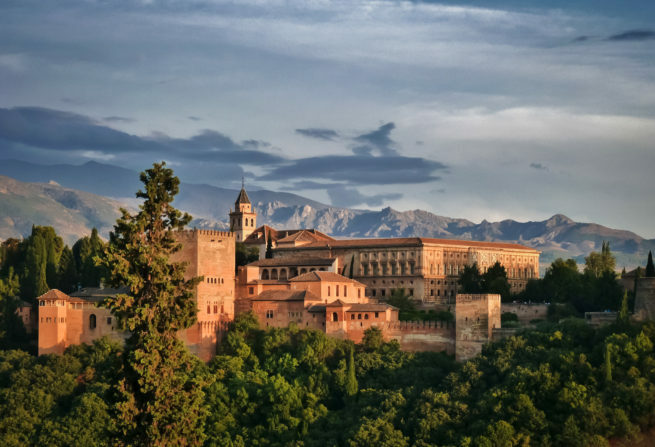 Fly private to Granada, a city located in Spanish Andalusia famous for its Moorish architecture and Generalife gardens. 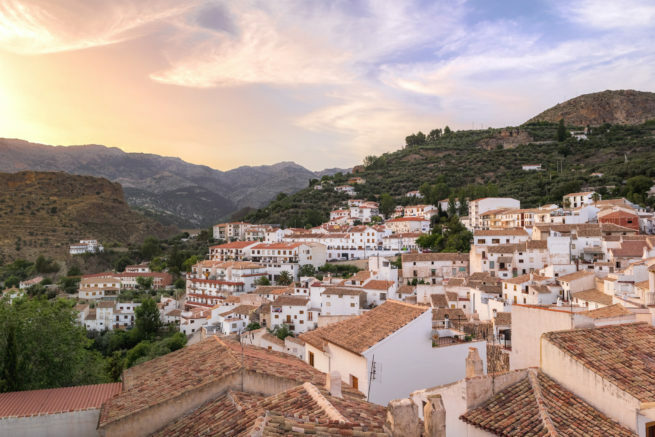 Whether you’re chartering a private jet to explore Alhambra or top conduct business around the Andalusia region, our team has access to thousands of Wyvern-certified private aircraft and can book the ideal aircraft for your trip. Jet Charter Europe believes in providing private flyers with a one-on-one consultative service experience that exceeds every expectation. The time, privacy, flight preferences and most of all, safety of our clients are all our top priorities, and our Granada private jet charter representatives will be available by phone and email 24 hours a day, 7 days a week. When using our private air charter service, you can expect quick response times and an easy, hassle-free booking process. Request a quote or call us today and arrange your private charter flight to Granada, Spain. Charter a private luxury jet and make your way to Granada, Spain, located in the foothills of the Sierra Nevada mountains in Andalucía. The city features many examples of medieval architecture dating back to the Moorish occupation of Spain, most notably Alhambra. It also offers many hotel and resort options for luxury getaways and business travel, and we’ve come up with a list for you based on many factors, including Jet Charter Europe passenger feedback, location, amenities and online reviews. Once you arrive in Spain via luxury private jet, our Granada Private Jet service brokers can also arrange ground transportation to/from the hotel of your choice. Granada is one of Andalusia’s freshest, most welcoming cities, featuring a lively bar scene and sultry flamenco clubs. 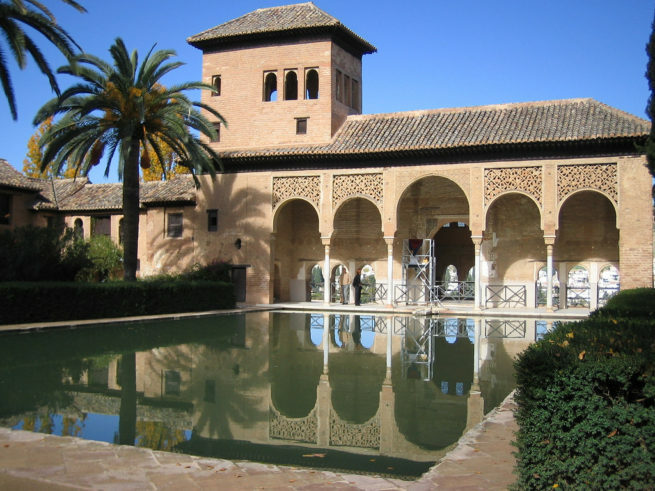 Many of our private luxury jet clientele come here to visit the Alhambra, a magnificent Moorish palace with exquisite tile work and magical water gardens. The Monasterio de la Cartuja is a lavish baroque church and monastery, and one of the finest examples of Spanish Baroque architecture. El Albayzín is an open air museum that retains the narrow winding streets of its medieval Moorish past, and was declared a world heritage site in 1984. The Capilla Real, the grand Gothic Royal Chapel next to the great cathedral, is a mausoleum commissioned by Isabella and Ferdinand and houses the remains of the Catholic Monarchs. One of the best places for foodies to stay is near the Plaza Pescaderia, where the cuisine features a variety of fresh fish and several jugs of sangria. The Sierra Nevada Ski and Mountain Resort is the southernmost in Europe, set in the Penibetico range with over 105 km of runs; the resort is great for skiers of all levels, and features excellent quality snow. If you’d like a helicopter tour of the Sierra Nevada Mountains or a ride to the resort of your choice, our team can charter a private helicopter for you and your guests. Check out more of our recommendations for luxury private jet travelers while staying in Granada, Spain. Jet Charter Europe utilizes the following airport to fly clients privately to/from Granada, Spain and neighboring areas. Request a Quote or give us a call at 1-888-987-5387 to speak with one of our Granada Private Jet Charter service brokers for your next luxury vacation, business trip, or special event.